Description: These buccaneer's buccaneers never back down from a fight, now whether they fight fair is another question. 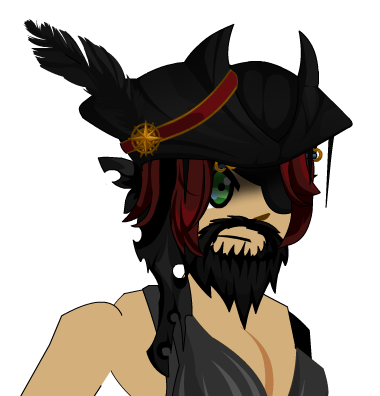 Dark Corsair Eyepatch + Beard. Dark Corsair Eyepatch + Locks. Dark Corsair Hat and Locks. Dark Corsair Tricorn + Locks.